News « Random's 23 cents. 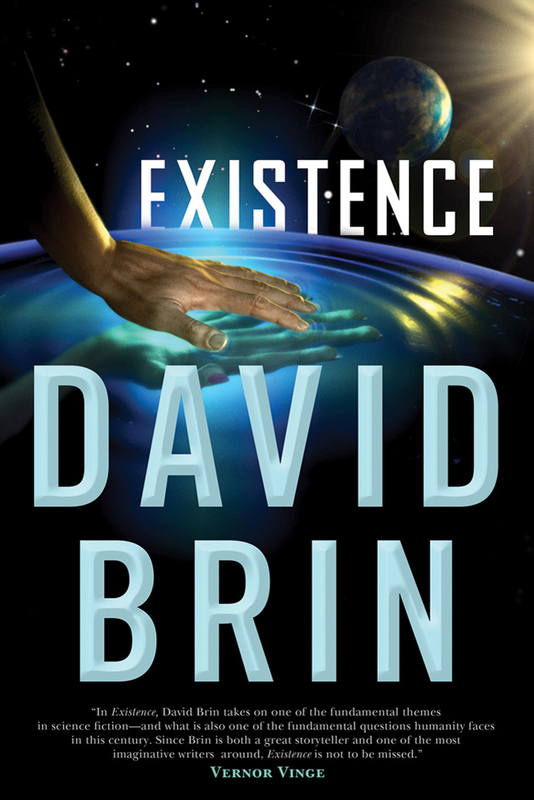 Following the release of Existence, David Brin’s first new book after 10 years of absence, Orbit will reissue the author’s best-known works. 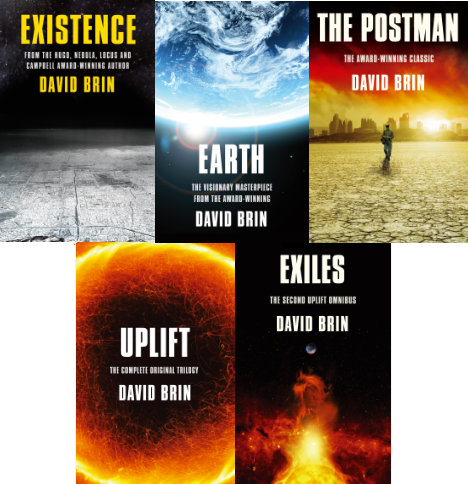 The beautiful new covers in the style of the UK edition of Existence are a great incentive to add any missing titles to one’s collection. If you like sweeping space stories fueled by bold ideas, chances are you will like the Uplift books, too (I haven’t read The Postman). If I have to recommend just one title by Brin, though, that would have to be Earth. In scope and ambition it is much akin to Existence, but slightly better focused, plus its ideas and predictions are still relevant after more than 20 years since its publication. Just signed up for the course on its webpage. Online higher education seems to be speeding up toward becoming the next big thing. I myself have tried, mostly unsuccessfully, to follow a couple of courses in different areas. So I thought I should try again, harder this time. 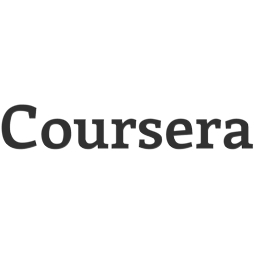 Why this course? It looks fun, plus I figured it would be a good stimulus for me to finally sit down and read up on the genre classics. I will probably try to post about it here, depending on how diligent/inspired/not-on-a-vacation I am. Hope to see you in class! Two interesting new books came out today. One is Existence, which I have been expecting for a long time. If it is comparable in scope and ambition to Earth, then it will be a truly great SF novel. 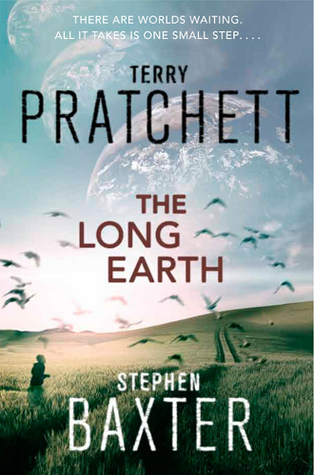 The other one is a curious collaboration between Terry Pratchett and hard sci-fi author Stephen Baxter, called The Long Earth. If all is well and there is time, I will try to post reviews of the two in the coming weeks. With new novels from Alastair Reynolds and Kim Stanley Robinson already out, and with Rajaniemi’s The Fractal Prince coming out in September, 2012 is shaping up to be a decent year for SF.